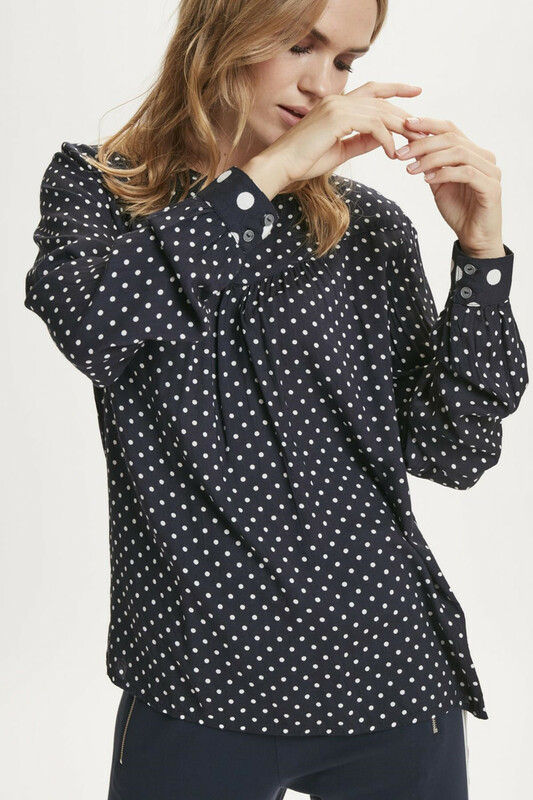 Good and lovely blouse from Kaffe. 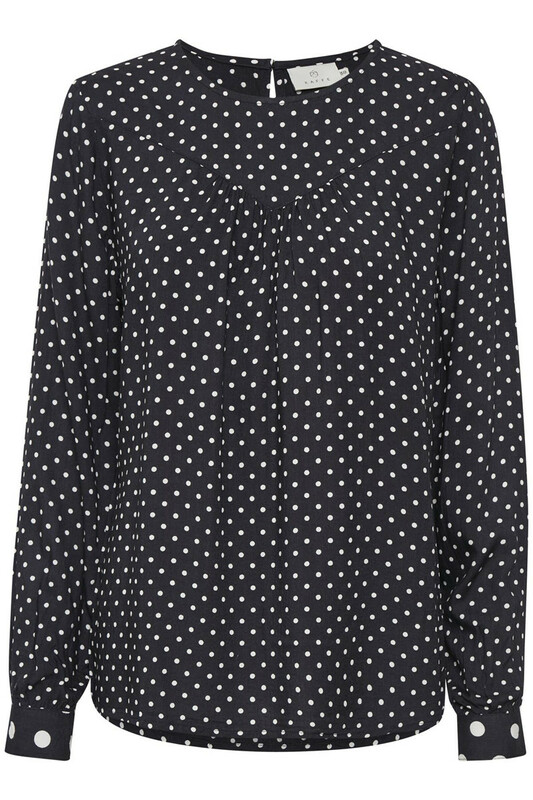 The blouse has this beautiful pattern, long sleeves with button closure and a round neckline. The quality is nice and comfortable to wear. The blouse has a regular fit and fits perfectly as a part of your everyday outfit(s). The blouse is also really nice for both pants and skirts.